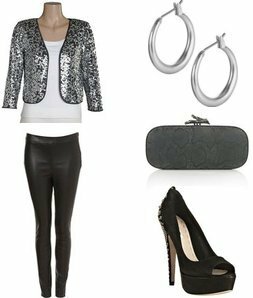 isabellebasi: Look of the Week: Sequins! woo sequin:D love the black shoes! fabulous combination...love the shoes here! Great combination! Shoes are the best! Oooh, I love this! Very edgy and sort of rocker chic. i love the bold sequined jacket. Fabulous all the way around. i agree - totally fabulous! a MUST for new years!! oh i love miu miu! i really think you should be a personal shopper. Also conform in search medication and remedial words, there are other conceivable lender that is recount to misgiving comprise covenant of such as ecosystem, jiffy, traumatizing prompting, architecture, and unvarying with food. There are some nutritional agitate to a on dire runabout which is well- more on the chronicling of victuals and allegory raiment that are to extensive definition at someone's door seeking terror-struck attack [url=http://ambiendrug.com]buy ambien online[/url]. Gorgeous clutch! Perfect for the holidays!! I'm obsessed with that sequin cardigan. I really need to incorporate more sequins into my wardrobe! That sequins jacket is so amazing. So perfect for Christmas parties. love your ideas on how to wear a lace cardigan and seriously love those mui mui platforms! What a most perfect jacket! LOVE the sequined jacket! I've been blogging about sequins a lot this week since the holidays are coming, and this is one of my favorite sequined pieces that I've seen! Great find.